Do you really need to worry about health and beauty products such as shampoo and hair spray? How about mascara and eyeshadow? Do these products even contain wheat, barley, rye or oatmeal? The simple answer is ‘yes’ most cosmetic products do contain some form of gluten and can cause symptoms, especially for people that are exquisitely sensitive or have the rash DH. People with gluten intolerance, celiac disease and dermatitis herpetiformis ARE sensitive to gluten in their personal care products. Everything that is placed on your skin has the potential to enter in your bloodstream. Accidental ingestion can also happen if any gluten containing ingredients are on your skin, hands or around your mouth. Although you might not eat your eye shadow or mascara it does have the potential to get on your hands, and then into your mouth, eyes or nose. The Gluten Free RN has set out on a mission to find gluten free beauty products. We have formed a list of companies that claim to have gluten free cosmetics and beauty products. We have not tested every product from every company and therefore cannot guarantee that every product is 100% free from gluten. Companies change formulas and ingredients in their products often. When ordering a product we recommend checking the ingredients, and emailing the company for verification. Everyone has different skin. While one product may work for me it might not work for you. We recommend testing products on your skin before purchasing them. Many companies will give away or sell samples that can be used as a tester before you decide to make a purchase. Below is a list of companies that claim to have mostly or all gluten free products. As a reminder: We have not tested all of the products or companies on this list. If you have highly sensitive skin we suggest contacting the company for a list of ingredients and testing their product on your skin. The Gluten Free RN can also test any product for the presence of gluten under 10ppm at our downtown office. This is a 100% gluten free cosmetic company. A woman whose family struggles with gluten intolerance started the company. 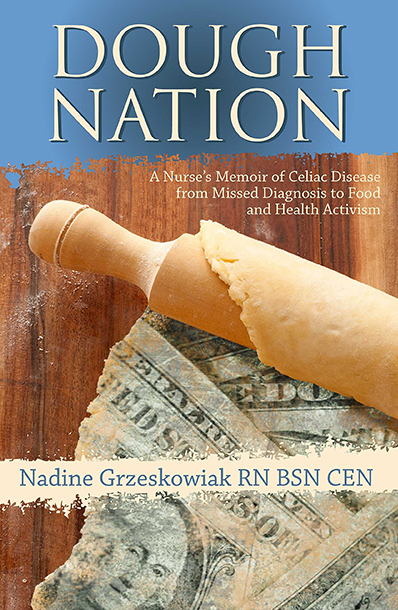 She knows how severe gluten intolerance is and she is dedicated to maintaining a completely gluten free line. Thank you for contacting us. The Tocopherol (Vitamin E) used in our Lip Balms and Glosses is derived from Soy. Other products that do contain the Tocopherol are the Pressed Powders. Our products are vegan based, free of carmine, nuts, lake dyes, fragrance, bismuth oxychloride and parabens. Our powders consist of: mica, titanium dioxide, zinc oxide and iron oxides. Our finishing powders vary and some consist of kaolin powder. All of these products should work well for you, but you may also want to check a gluten list of ingredients to avoid, since everyone’s skin is different. We do recommend doing a skin patch test when trying a new product to see if your skin is happy with the product. If your skin is sensitive to a product then wash your skin with water and discontinue use. The Product Page does have a tab with the list of ingredients, which you can use for reference before making a purchase. Simply select the product of your choice and then select the Ingredients tab at the bottom of the page to view the ingredients for that product (there will also be a Details and Usage Tips tab). This is another 100% gluten free, celiac disease friendly company. They have mineral makeup and are dedicated to providing good quality gluten free cosmetics. This company is a gluten free cosmetic company with mineral products. Their products can be purchased through their website. We help women, especially those with gluten intolerance and other sensitive allergies, feel great, look great, get compliments and enjoy makeup again! All Red Apple Lipstick products are certified gluten free, paraben free, soy free, dairy free and allergen free. Our lipsticks are also vegan, natural and cruelty free, but you wouldn’t know it, unless you asked!